The Prisoner skin has a few selectable styles and they are unlocked by performing certain in-game actions. Epic Games has released the Prisoner as the special season 7 skin for "Fortnite Battle Royale." Players are able to unlock it by completing 60 weekly challenges, which means that only Battle Pass users can get it. The skin has four different customizable styles, and players have to unlock each of them by performing certain in-game actions. At the moment, three customizable styles can be unlocked, and the final one will most likely be unlockable next week. For the first time, Epic Games requires players to unlock different styles by doing something else but challenges. We are hoping that more skins will have their additional styles unlocked through gameplay as many players are not fans of challenges. If you have already unlocked the Prisoner (Snowfall) skin, we will show you how you can upgrade it to the third stage. On February 7, Epic Games has released week 10 challenges for "Fortnite Battle Royale." This is the final week of challenges, and even though season 7 will not end in a week, players will not be receiving any more challenges. 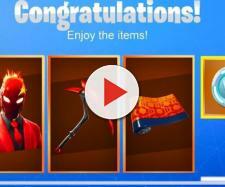 As soon as these special tasks came out, it was possible to unlock the third stage for the Prisoner skin. Many "Fortnite Battle Royale" players knew how to unlock stage 3 of the skin, even before the video game developer released week 10 challenges. Thanks to the week 10 loading screen, which was leaked with the v7.20 patch, players figured out that it was necessary to use a foraged campfire to unlock the third stage. However, it is important to note that players cannot use any foraged campfire on the island. 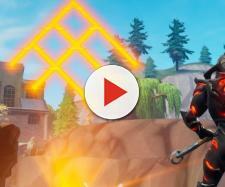 The exact location of the campfire is showed in the week 10 loading screen, and it is located on the hill southwest of the race track. There is only one campfire, and a lot of players are going there to complete the challenge. Fortunately, the campfire can be re-lit so everyone can unlock the additional style for the Prisoner skin. However, once a campfire has been re-lit, it will provide no health benefit to the player who did it. 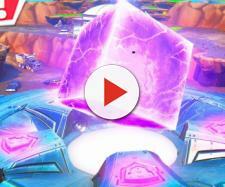 The second stage of the Prisoner skin can be easily unlocked by picking up the key at Polar Peak, while it is currently still unknown what will be the stage 4 requirement. There is a good chance that the additional styles won't be able to be unlocked in season 8, which is why players should complete them as soon as possible. Fortunately, the current season ends in late February, which gives players a lot of time to do this.